Since 1959, Koetter Woodworking, Inc. has built its business on supplying its customers with products of which they can be proud. When you see the Koetter Brand Certified logo, rest assured that you are receiving products that meet our demanding guidelines for quality, consistency and repeatability. Koetter Brand Certified represents our commitment to support, practice and educate the importance of sustainable forestry management, which ensures the proper use of our woodlands for generations to come. The company was founded in 1946 as a small regional distributor of building materials which was serviced from a single location. During the 60's and 70's, the company's focus began to shift from rough construction products to millwork. Empire has grown into one of the largest millwork distributors and manufacturing companies in the US. The original economic alternative to curved wood applications where wood mouldings simply won't bend. 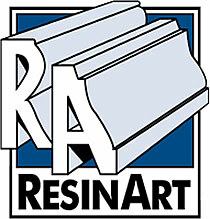 DuraFlex mouldings, developed by ResinArt in 1967, are consistently asked for by discriminating architects, builders, contractors, remodelers, designers, and homeowners. Fypon PVC Cellular Trim products can be used on both the interior and exterior of residential and commercial projects. Fypon offers boards, sheets, bead board, and corners that are easy-to-install and do not require paint. Each piece has a consistent quality and finish, which requires no sanding, priming or sealing.